Hand spun and raised bowl .040 copper with foot. Enamel design unleaded enamel, View #2. 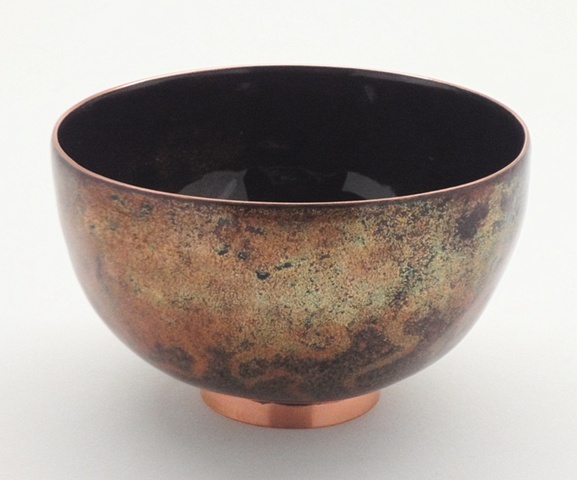 This bowl will be on display at the League Gallery, from January 29th - March 26 in "The Things We Do For Love" show.